Hospitality facilities are typically very inefficient. Guests overheat or supercool their rooms while absent. Air conditioned lobbies condense humid air leaving surfaces damp. Bulb filled convention rooms are left on continuously. 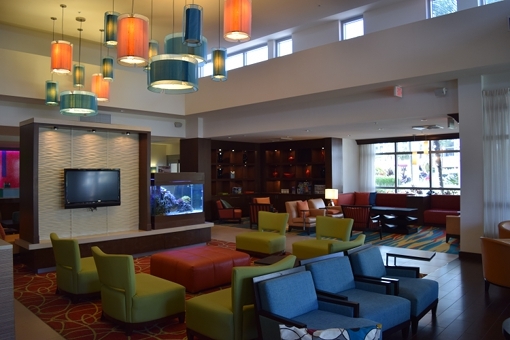 From economy motels to full-service hotels and convention centers, all of these properties have the opportunity to enhance guest comfort and safety while improving their bottom-line. Groom Energy is seasoned in helping hotels through the technical, utility rebate, and corporate engagement portions of a project. Technically, Groom has the engineering caliber to evaluate, the supplier relationships to procure, and the contracting acumen to execute on energy investments for all systems on a property. Next, Groom’s ex-operations executives and corporate energy managers translate those technical results and consult with ownership and management to build a clear investment opportunity. Finally, Groom brings its international rebate experience and contacts to bear in collecting free money to help pay for these improvements. Hospitality properties are operationally complex, customer-driven, and heavy energy consumers. From exterior and interior lighting to hot water loops, HVAC systems and beyond, we look forward to working with you to invest in your properties’ efficiency, savings and comfort.